What a poster, right? "OOH! I want to see the movie where Christopher Plummer attacks Natalie Wood!" 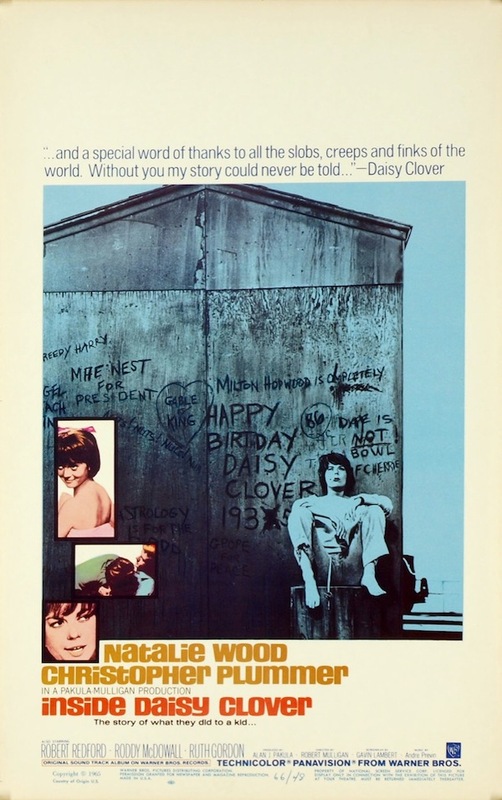 Anyway - today's movie is Inside Daisy Clover (1965). Do I recommend it? Not really. Not really. Even as someone who loves Natalie Wood - nope. You can watch this musical number here. Looks like such a visually appealing movie. Too bad you don't recommend it :( Sometimes movies LOOK better than they actually are.